“Ode to Dead Salmon” Writing Contest! “Summer’s in full swing, the fish are running, and you know what that means: our hugely popular “Ode to a Dead Salmon” bad writing contest is back. Take a look at last year’s finalists, sharpen your pencils and follow that smell. We want your best worst writing, submitted to 49writingcenter@gmail.com by July 31, 2012. This year sees the return of loyal judges Nancy Lord, Bill Sherwonit, and Ray Troll, so give ‘em your best. Since the contest was first launched, bad writing has streamed in from all over the world. We posted it all and let our readers vote. Past winners have garnered some great press, including a write-up in Alaska Magazine. 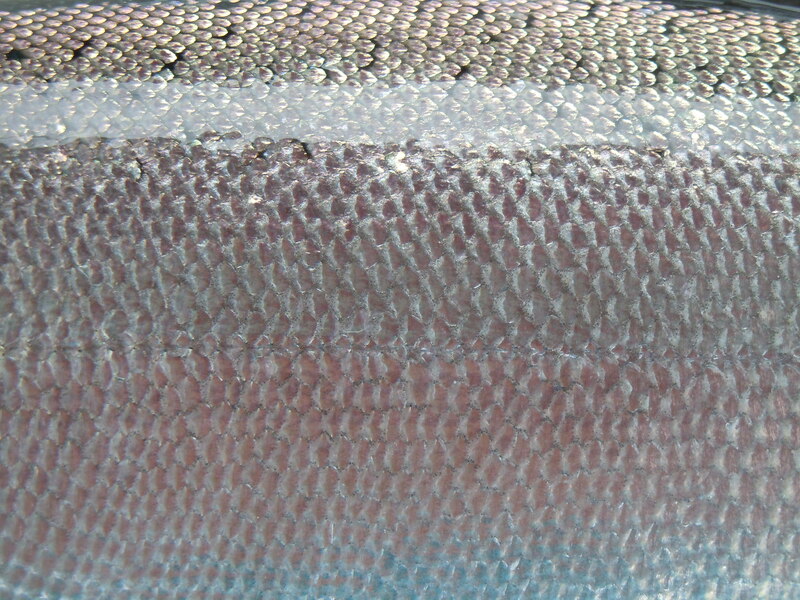 We want your best tongue-in-cheek “Ode to a Dead Salmon” bad Alaskan writing, poetry or prose, fiction or non. We’ll publish all entries at our Ode to a Dead Salmon webpage so the world can read them, and we’ll post the finalists here at 49 Writers. And yes, famed and fishy Alaskan artist Ray Troll has once again offered an autographed T-shirt of choice to our winner. But the main goal, of course, is to have fun. 1. Entries must conform to our editorial policy. 2. We need your real name and real email address. If you want your entry to be posted under a pseudonym or left anonymous, make that clear in your email. 3. No more than three entries per person. 4. No more than 800 words per entry (shorter is just fine with us: limerick, haiku, opening lines). 5. Entries must be your own original work. 6. You keep the copyright but by entering you’re giving us permission to post. 7. This is our contest. We make the rules (that’s the beauty of blogging, folks), and the rules may change as we see fit. We’ll let you know if they do. Apologies for the bad form and consequent eye strain here, friends… We’re rushing to cut the lines and head out, and I can’t figure out why the paragraph breaks aren’t showing up. Thanks for forwarding this one on to anyone who might be interested; I hope to see some familiar names among this year’s submissions. Happy writing! Comments : Comments Off on “Ode to Dead Salmon” Writing Contest! North Words Writers Symposium? Yes, Please! Greetings from the Juneau Airport! Remember that last halibut trip we made? Turns out we nailed our poundage, got everything we needed. We spent the next few days cleaning up – scrubbing every last drop of halibut slime and blood, taking the longline gear off the boat and getting it set up to be ready to go trolling for salmon on July 1. Joel and I moved ourselves back onto the Nerka, ready to think about our own boat projects. This weekend, I finally waded through 10 days’ of email. Cruising through with one finger hovering over the delete button, I stopped short at a post from 49 Writers. “North Words Writers Symposium,” read the headline by Alaskan author Heather Lende. What’s that? Three days with my favorite Alaskan authors? The same writers whose books fill my memoir proposal’s “Comparative Titles” section, whose words I study devoutly, awed by their evocation of landscape, communities and experiences I recognize as my own? Registration limited to 50 – a 1 to 3 faculty/participant ratio – with lit stars dancing in my eyes? Scheduled perfectly between my boat and fishing responsibilities, only five days away? Once in a special while, opportunity appears spread-eagled before you, stunning with its blatant invitation. That’s what I saw in that post. And with a fresh longline check burning in my wallet and a partner who said, “Of course you should go,” I was in. That’s not to say the trip planning was easy. Hopscotching between remote communities in Southeast Alaska takes effort. I spent the next two days figuring out how to get from Baranof Island to Skagway, one of only three communities in Southeast Alaska that’s accessible by road. Thanks to one Boeing 737-400, two Cessna bush planes, and one high-speed ferry, everything seems to have lined up just right. 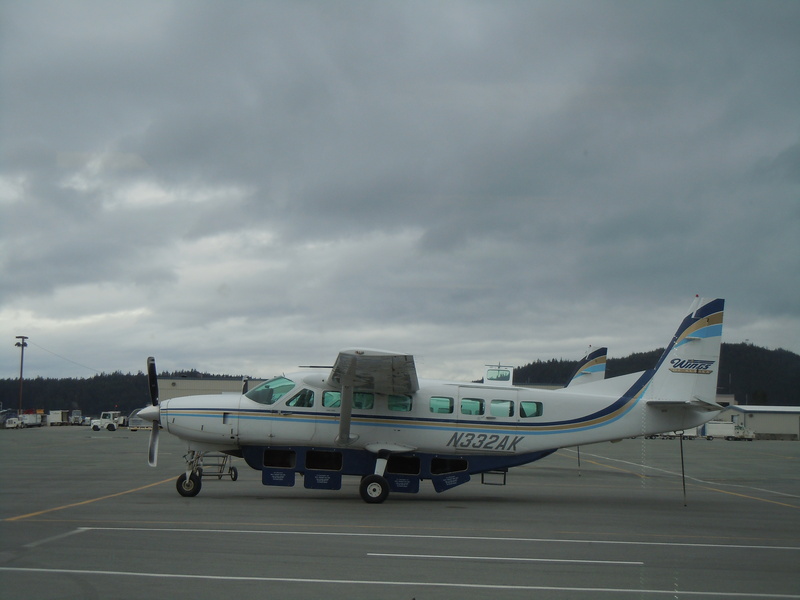 Cap’n J borrowed a friend’s van to drop me off at the Sitka Airport at 5:30 this morning. By 6:30, I’d landed here in Juneau. In a few minutes I’ll be boarding a Cessna Caravan to Skagway – at nine seats, it’s one of the “big” planes. Some deckhands blow their hard-earned crewshare in the bar; I run off to a writer’s conference. Excited? Oh, yes. Anxious? That, too. Stand by for a delirious report, buddies. Meanwhile, do check out the North Words Writers Symposium details here. For my writer friends – any special requests? Questions you’d like to ask if you were here? What discussions would you attend? I just wanted to tell you that I love your writing. You live a fascinating life and you write beautifully about it. I just gave you the Liebster Blog Award. Hope that is okay! Okay? An award for Hooked? Reeling from delight rather than landsickness, I was a giddy, blushing mess of awe and wonder. Writing is such an isolated activity, it’s easy to feel alone with your words. I spent years stifling the urge to write and disparaging the pieces that forced their way to paper, certain that any complimentary responses were merely friends being kind. People who “had” to like my work. Surely no one else would care about my bleeding heart reflections. But the Liebster suggested otherwise! From the German verb lieber – to love – the Liebster Blog Award recognizes worthy blogs with less than 200 followers, thereby raising their visibility. The “rules” are simple: thank your awarder and link back to them, select 5 blogs as your own nominees, and let them know by leaving a comment on their site. Every adult grown of an outcast kid carries the searing recollection that selecting some means excluding others. I agonized over the nominations. Beyond inherent reluctance to name “favorites,” how would I choose? Hooked’s readership represents my ideal neighborhood: delightfully diverse, our residents range from conservative Alaskan fishermen, leprechaun-green environmentalists, contemplative memoirists, even a self-described “ex-party girl turned Midwestern wifey-poo.” With such differing life languages amongst you all, what 5 blogs could speak to everyone? To the rescue: Alaska Book Week! Coinciding perfectly with this post, my Liebster picks are dedicated to some of my favorite Alaskan blogs. If you don’t have time for a new book this week, please take a moment to visit one of these Alaskan writers online. Nagoonberry reminds me to stop and breathe. My first visit was to this post about my favorite flower, and I’ve been a subscriber ever since. This is a blog of journeys. Humans learning to live together in community. Personal and communal introspection. Thoughts on spirituality and sustainability. I suspect those of you drawn to Hooked’s more reflective moments will connect with Nagoonberry, too. A Fairbanks English teacher, Paul Greci describes Northwriter as “a blog about writing, running, kayaking, and life in Alaska.” His posts include lovely photos and reflections on his environment. Ever imagined a lynx strolling across your porch? He’s got a great story about that very experience here. And don’t miss the photo of his treadmill laptop – talk about productivity! Whether writing verse or prose, Alaskan writer Vivian Faith Prescott is a true poet. You’ll find breath-stopping, heart-singing imagery and Tlingit honorifics on Planet Alaska, in stunning pieces like “The Language of the Landscape.” During these off-season months, when I’m struggling with the miles separating me from Southeast Alaska, I read Vivian’s work and she carries me home. 49Writers is such a fabulous resource that I have to close with some love for them. A non-profit supporting Alaska writers and their work, they host an impressive caliber of events. (More than once, I’ve wished I was in Anchorage to attend.) Literary folks – whether in Alaska or Alabama, an active writer or an avid reader – should consider subscribing. Here’s a post for writers who dream of crafting their work during a summer in Denali. A note to these gifted awardees: I generally shy away from “Pass It Along” virtual movements. But it is lovely to learn that your voice touched someone, and I do recommend favorite books to friends… Is this really so different? If participating in the Liebster isn’t your kind of party, no worries. Please enjoy the public recognition of your work, knowing that your words have mattered to me, and spread a bit of liebe in your own private way. Got a favorite Alaskan blog of your own, sweet reader? Please share!